How many agents should a law enforcement organization send to arrest a highly visible, older, non-violent man, who is not a flight risk, for allegedly lying to Congress — particularly, when the individual has appeared numerous times on national TV saying he expects to be arrested and was obviously making no attempt to avoid law enforcement officials? Yet, last week, special counsel Robert Mueller sent 29 highly armed agents in 17 vehicles to Roger Stone’s home in Ft. Lauderdale, Florida, in a predawn raid to arrest him. Such action smacks of the Gestapo or the old KGB. The normal procedure would have been for one of Mr. Mueller’s lawyers to call Mr. Stone’s lawyer, say they intend to indict Mr. Stone and ask him if he would appear at a specified time to be arrested. Mr. Stone had already said he would comply with such a request. CNN had been obviously tipped off by the Mueller people so they were there to film the raid. All of this was not only highly inappropriate, but a huge waste of taxpayer money. One of the tools to keep government law enforcement and regulatory agencies in check is the budget process. Business students are taught that a budget is a planning document, a guideline for future activities, and a tool of control within the organization to make sure that people are doing what is expected and not wandering into outside areas on their own whims. Mr. Mueller was charged with finding Russian collusion with the presidential campaign before and during the 2016 election. He managed to obtain a conviction of Paul Manafort for tax evasion that occurred long before the 2016 campaign and had nothing to do with Russian collusion. Such an investigation should have been funded under normal Department of Justice and IRS budgets where there was proper oversight, not by a rogue prosecutor operating without a budget. Budgets force discussions about the proper allocation of resources for activities within the organization and, at least in theory, should reflect to some preliminary cost-benefit analysis. The Justice Department ought not to spend a million dollars chasing a potential tax cheat whose maximum liability is $5,000. 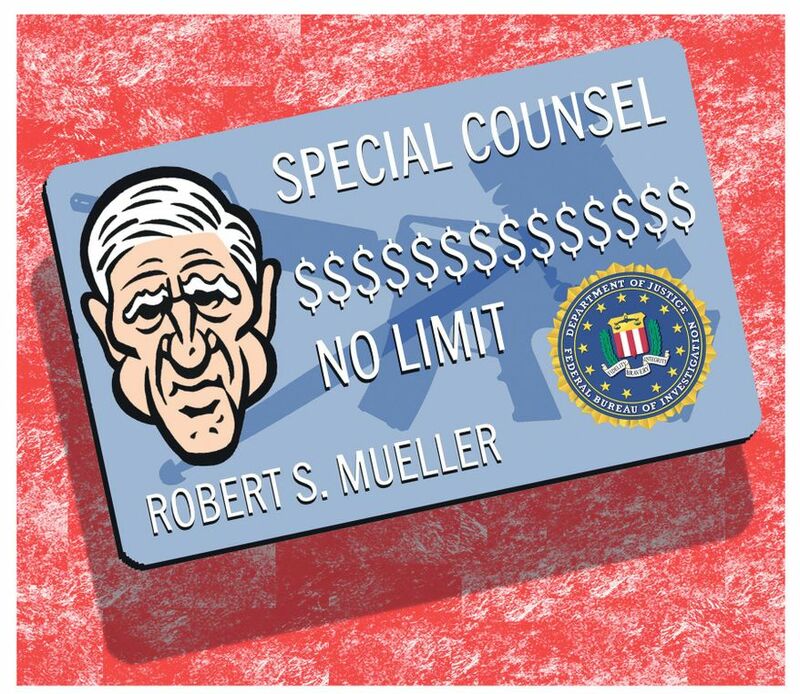 The public has no idea (and I would guess that Justice Department does not have a much better idea either) of how much directly and indirectly Mr. Mueller spent to obtain his handful of convictions, but not one of them was part of his central task. The public has a right to know if these convictions met a basic cost-benefit test. Despite the press halo, Robert Mueller has a long record of poor judgments in chasing the wrong people at great cost (anthrax mailer, etc.). He served as head of the FBI from 2001 to 2013. During that time, Russian money found its way into U.S. environmental organizations that then appeared to have laundered it for political purposes to help the Democrats. In the last several years, there were a number of articles on this issue, as well as congressional inquiries, all of which were stonewalled by the Justice Department. On Nov. 5, 2015, Mikhail Lesin, who conceived and created Russia Today (currently RT, the Russian government-funded international TV network that broadcasts in English and other languages) and one-time head of Russian energy giant Gazprom-Media, was murdered in a hotel in Washington, D.C. It was reported at the time that he was supposed to meet with the FBI the next day. He had been close to Russian President Vladimir Putin and almost certainly knew which Democratic and Republican organizations and individuals were receiving Russian funds during Mr. Mueller’s stint as head of the FBI. The unsolved Lesin murder is likely to be more of the key to Russian political interference than anything Roger Stone might know. Who, in the FBI, has a political interest in allocating (or misallocating) investigatory and budget resources? © Copyright 2019 The Washington Times, LLC.